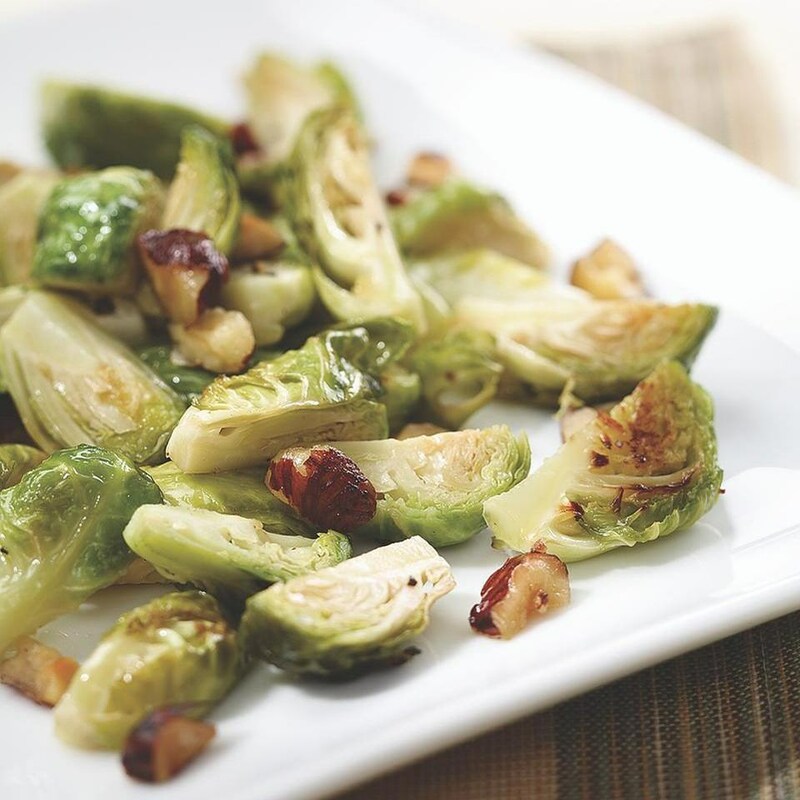 Browning butter brings out a mellow nuttiness that complements the strong flavor of the sprouts. Browned butter can be an excellent flavor addition to any sauté. 70 calories. Position rack in bottom third of oven; preheat to 450°F. Place butter on a large rimmed baking sheet and roast until the butter is melted, browned and fragrant, 4 to 5 minutes. Remove the baking sheet from the oven; toss Brussels sprouts and hazelnuts with the browned butter and sprinkle with salt and pepper. Return to the oven and roast for 7 minutes. Sprinkle with water; toss and continue roasting until the sprouts are tender and lightly browned, 7 to 9 minutes more.